This inspection procedure does not supersede local government required inspections that have more stringent requirements. Turn the ignition key to the ON position with the engine OFF. With the aid of an assistant, turn the steering wheel to the full stop position and hold the steering wheel in that position until the test is complete. Part of the steering linkage inner tie rod (2) being tested should be inside the steering gear housing. The inner tie rod housing (1) being tested should be inside the steering gear housing and seated against the steering stop. 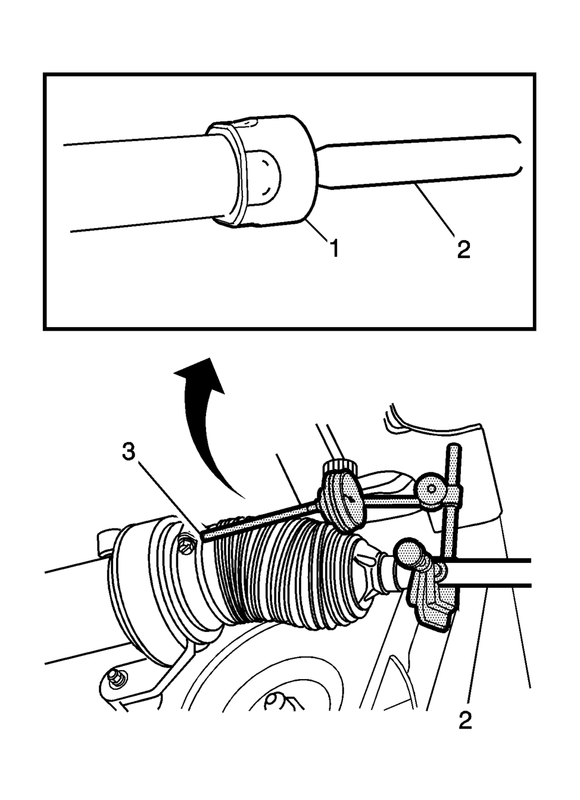 If there is not a good location for the GE-8001 dial indicator pointer at the steering gear housing, install a large worm gear hose clamp (3) to the steering gear housing over the larger steering gear boot clamp and align the clamp so that the screw can be a location for the GE-8001 dial indicator pointer. Install the GE-8001 dial indicator between the inner tie rod and the steering gear housing or the worm gear clamp in such a way as to measure the lash between the inner tie rod and the steering gear housing. The lash between the inner tie rod and the steering gear housing is equal to the lash between the inner tie rod and the inner tie rod housing because the inner tie rod housing is inside the steering gear housing during this procedure. Only move the tire enough to feel any lash between the inner tie rod and the inner tie rod housing without moving the steering gear rack. 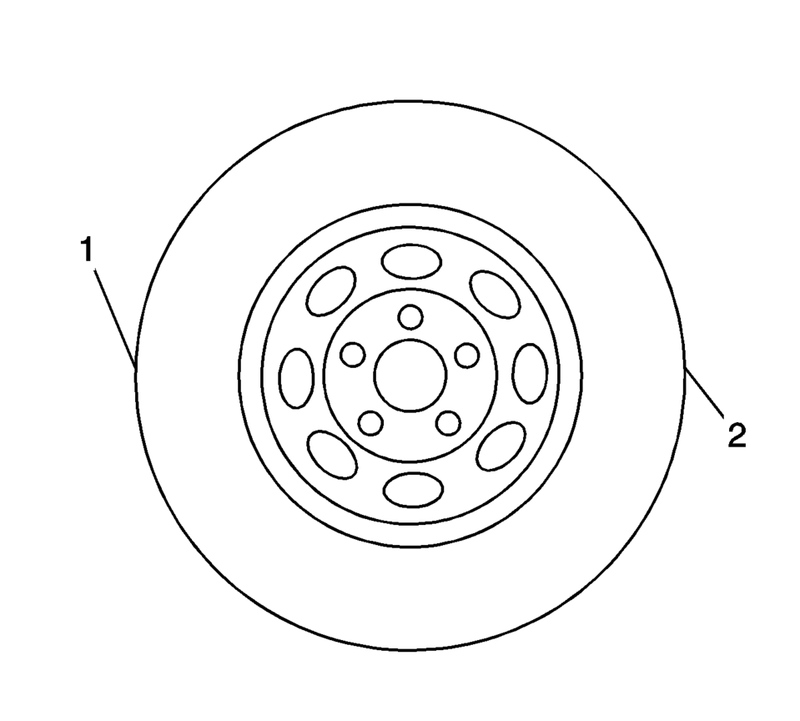 Grasping the tire at the 3 o'clock (2) and 9 o'clock (1) positions, gently push in on one side of the tire in order to remove any lash. Zero the GE-8001 dial indicator . On the same side of the tire previously pushed in, gently pull out and measure the lash. Record the measurement shown on the GE-8001 dial indicator . If the measured value exceeds 0.5 mm (0.02 in), replace the inner tie rod. Refer to Steering Linkage Inner Tie Rod Replacement.